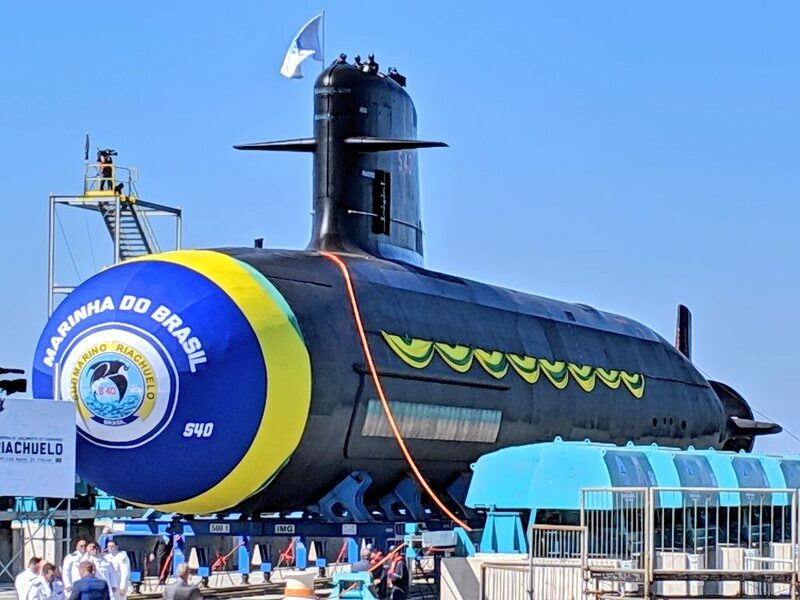 The Brazilian Navy (Marinha do Brasil) launched its first Brazilian-built Scorpene submarine, the Riachuelo, on December 14 2018. The ceremony took place at the Itaguaí Navy base in presence of the President of the Federal Republic of Brazil and of the elected President. 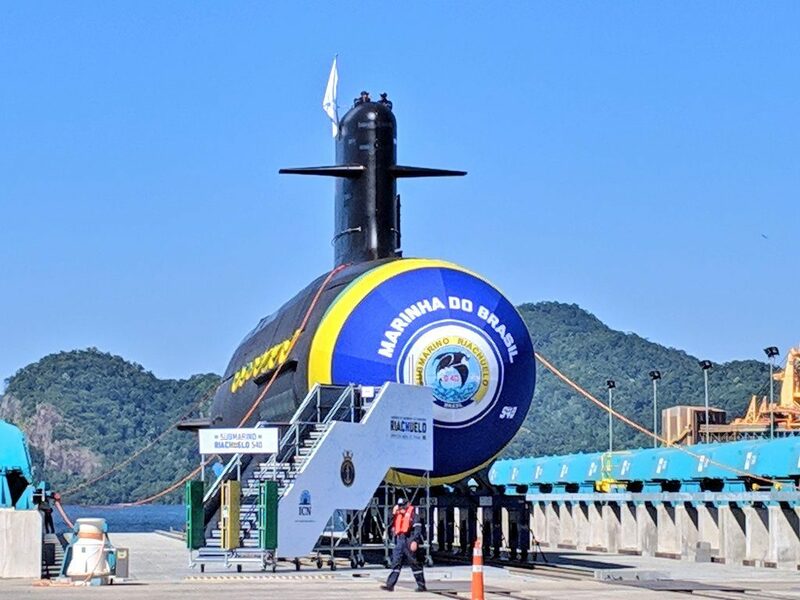 The Brazilian Navy (Marinha do Brasil) launched its first Brazilian-built Scorpene submarine, the Riachuelo, on December 14 2018. Naval News picture. It also enables the Brazilian industrial ecosystem to access new markets by promoting their “Naval Group” and “Brazilian Navy” accreditation (whose image of excellence and seriousness is highly regarded in Brazil) and to avail of the know-how and experience of the French group in the fields of project management. Scorpène® is the conventional submarine designed by Naval Group for the export market. It demonstrates both Naval Group’s ability to deliver best in class submarines and to conduct successful transfers of technology. 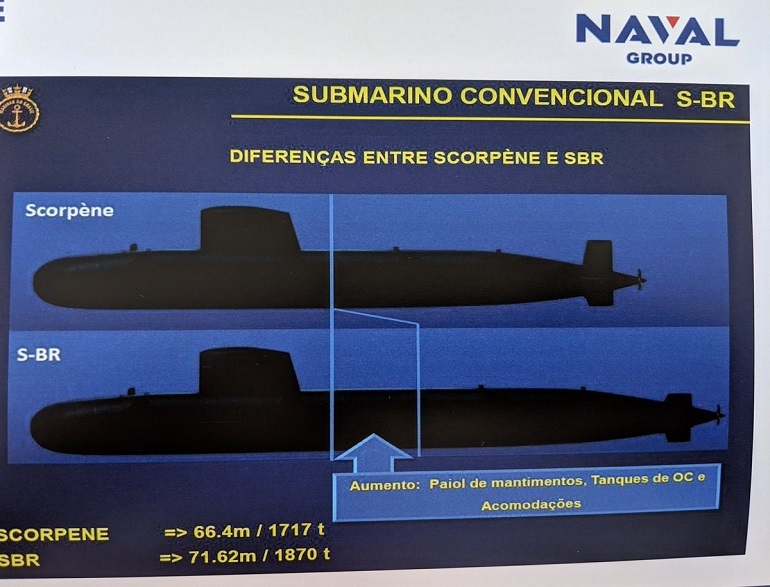 Today 14 Scorpène® submarines are in operational service or being built, for the Chilean Navy (2 units), the Malaysian Navy (2 units), the Indian Navy (6 units) and the Brazilian Navy (4 units). Compared to previous Scorpene class submarines, the S-BR features a stretched hull section to provide more submerged endurance. Naval Group image.